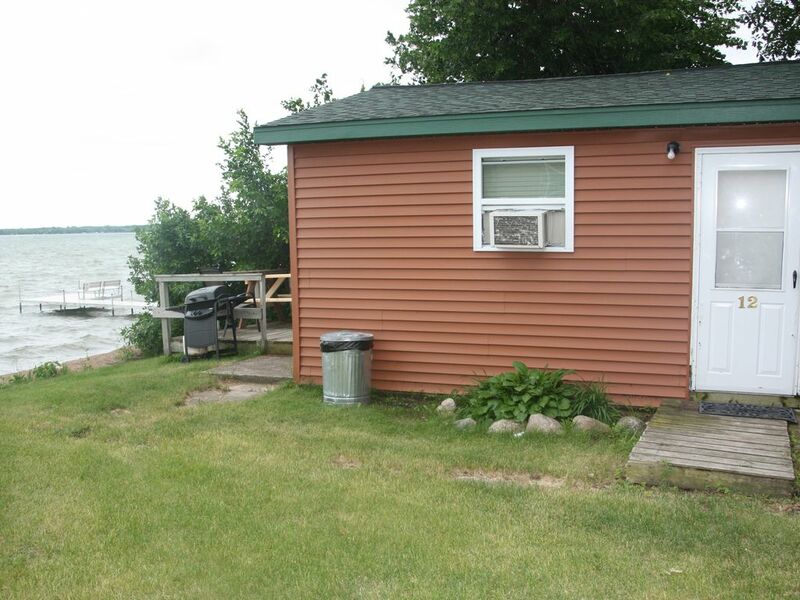 3-Bedroom cabin on Otter Tail Lake. Great Fishing and Water Recreation. This Cabin is recently remodeled and right on the waters edge. 3 bedrooms with a queen, double and 2 twin beds. Full kitchen including microwave, coffee maker, stove fridge and dishwasher. The Deck in front makes you feel like you are on the water. The cabin features a full kitchen including a microwave. It is fully furnished including bedding, but please bring your own towels. The cabin has a barbecue grill, picnic table and a color cable TV. Real close to the water. We had lots of fun staying with you. The grandkids just loved it and with the sand beach and the being shallow close to shore we did not have to be on top of the kids watching them. My grandson loved the night fishing as he caught a 4 lb large mouth and a 2.5 foot Northern on the same night. The next night a kid he met caught a walleye. The cabin was nice and we didn't have to worry about our gear sitting outside. The workers at the lodge were very friendly and helpful also. Guests are required to bring their own towels for Beach, Bath and Kitchen. The Cabin is "Housekeeping", which means you eave it as you found it.